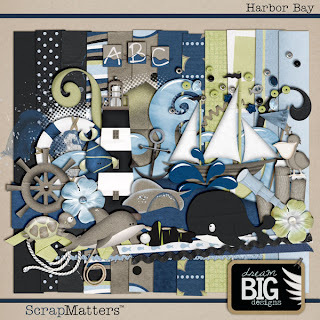 If you are like me and love "seaside kits" you will like this new kit by Dream Big Design called Harbor Bay. It's filled with cute sea animals and easy beach elements and of course, lots of easy-to-scrap-with papers! 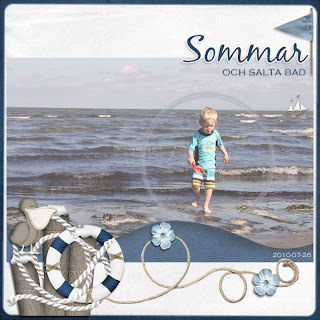 I created this page with a picture of Max at the beach last summer.